Colombia facts for kids. How much do you know about this country? Try our quiz. 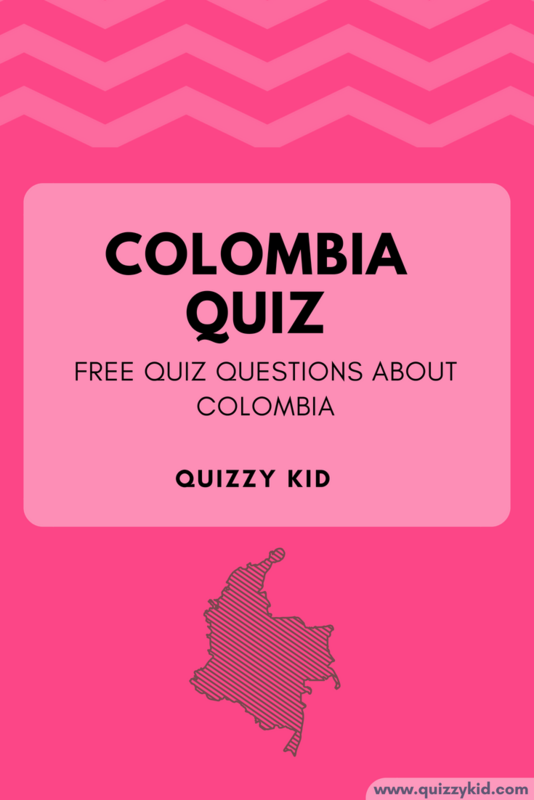 You might learn some fun and interesting facts about Colombia! Check out our country quizzes for more geography fun facts. We have quizzes about Fiji, France and loads more! Q1. What is Colombia's capital city? Q2. What precious stone is Colombia most famous for? Q3. What is the official language of Colombia? Q4. What is the currency of Colombia called? Q5. What is the Colombian anthem called? Q7. What is the most popular sport in Colombia? Q8. What's the name of the tallest mountain in Colombia? Q9. How many countries share a land border with Colombia: 5 or 7? Q10. What continent is Colombia in?